RAL is expanding the RAL PLASTICS programme introduced in 2010 with 200 RAL DESIGN colours. The 160 opaque and 40 transparent polypropylene plates open up new design opportunities for the plastics sector. ‘Together with our 100 classic shades, the RAL PLASTICS colour standard now comprises 300 colour samples for precise and sophisticated colour design in the plastics sector,’ says Dr. Wolf D. Karl, CEO of RAL gGmbH. Plastics manufacturers and processors benefit from RAL PLASTICS because the time-consuming and costly translation of RAL paint samples into plastics colours is no longer required. The new RAL product, RAL P2, will be presented for the first time at the CHINAPLAS 2012 from 18 -21 April 2012 in Shanghai. This trade fair is the largest and most important event of the year for the Chinese plastics and rubber industries. Cool teals, juicy leaf greens, earthy ochres, brilliant berry hues and delicate lilacs bring fresh and warm colours to the plastics palette. For all plastics manufacturers and plastics processors, for products in the cosmetics industry and the construction sector, and for household goods and packaging. New colour combinations for games, sports and leisure time. As with RAL P1, the RAL P2 plastics plates are made from 3 mm thick polypropylene, sized at 105 x 148 mm (A6). Three surface structures and material thicknesses of 3 mm, 2 mm and 1 mm give the user a realistic impression of the colour effect in various material applications. Polypropylene, a bulk plastic used in many end-products, was intentionally chosen for RAL PLASTICS. Polypropylene is suited for a wide variety of manufacturing processes and is extremely compatible with a wide array of different dyes. 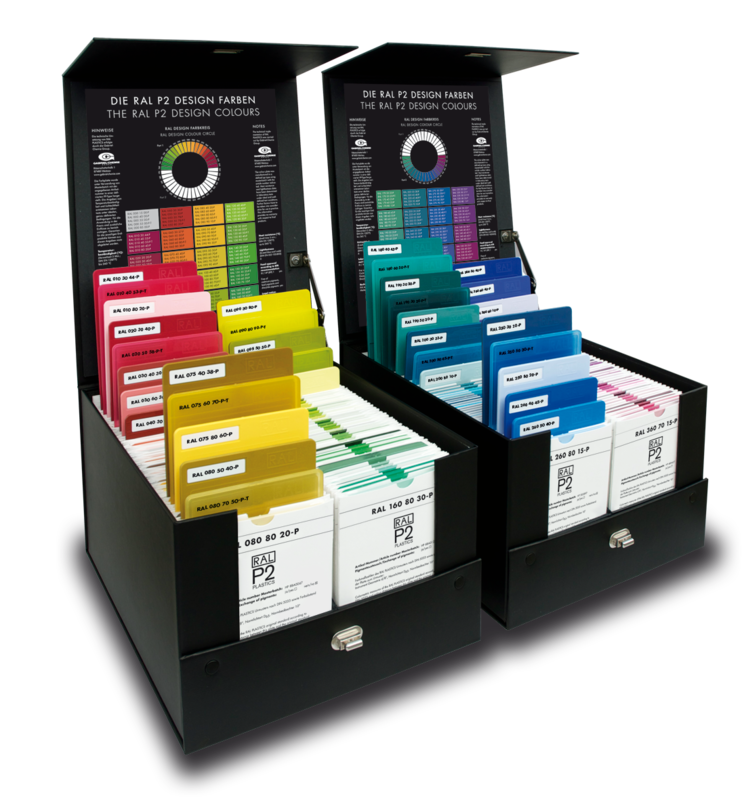 RAL P2 comes in a complete set with 200 plastic colour plates. All colour plates are also available individually. The protective sleeve for each RAL plastic plate details the masterbatch code, the colormetric measures, the absolute values, the reflectance curve and the distance to the plastics original standard. The plates are lightfast and temperature resistant. RAL is the global language of colour. With its RAL CLASSIC and RAL EFFECT collections, the RAL DESIGN System, RAL DIGITAL software and the RAL PLASTICS colour standard for plastics, RAL provides colour users in industry, the trades, architecture and design with a versatile selection of precise colour samples. The RAL colour palette contains a total of 2,328 colours. RAL has sales offices worldwide in 40 countries. Continuous metre marking of extruded cables using the ATD Jet3 white ink jet printer.